The main front of Hagia Sophia. 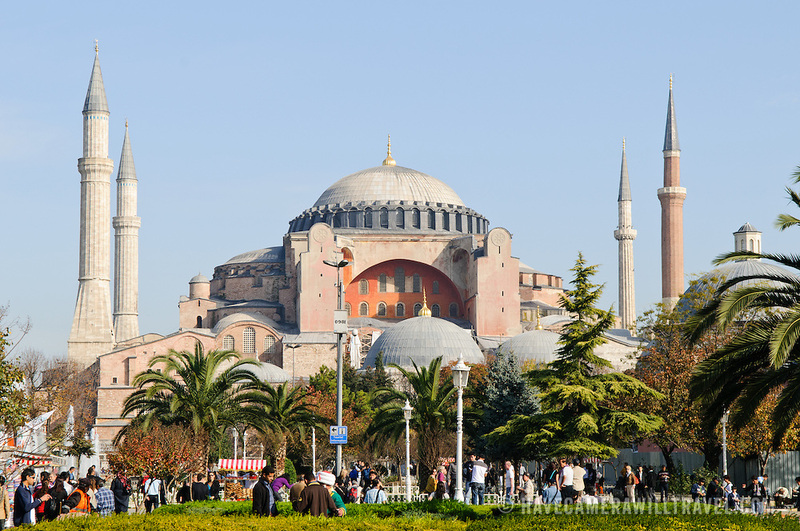 Originally built as a Christian cathedral, then converted to a Muslim mosque in the 15th century, and now a museum (since 1935), the Hagia Sophia is one of the oldest and grandest buildings in Istanbul. For a thousand years, it was the largest cathedral in the world and is regarded as the crowning achievemen of Byzantine architecture.